Last week the Bank of Canada (BoC) and our federal government agreed to extend the Bank’s existing inflation target of 2% and to maintain its existing inflation-control range of 1% to 3% for a new five-year period. This was largely expected and on its own might not warrant mention in my weekly Monday updates. But the Bank also announced a significant change in the measures that it will use to monitor our overall inflation as part of its formal inflation review, and that is noteworthy for anyone keeping an eye on Canadian mortgage rates. The BoC’s primary mandate is to maintain price stability, which is otherwise referred to as keeping inflation under control, and it uses specific measures to gauge whether this is happening. So if you are trying to figure out where mortgage rates may be headed, these measures provide the clearest indication of the Bank’s current bias (toward raising rates, lowering them, or standing pat). In future, instead of relying on the traditional Consumer Price Index (CPI) total inflation and core inflation statistics, the Bank will now use three more detailed measures called CPI-common, CPI-trim and CPI-median. The Bank believes that these core measures will: 1) more “closely track long-run movements in total CPI inflation”, 2) “be less volatile than total inflation and capture persistent movements in inflation”, 3) “be related to the underlying drivers of inflation, notably the output gap”, and 4) “be easy to understand and explain to the public”. Of all of the Bank’s justifications for adopting what it feels are more accurate measures, I thought the point about wanting to use measures that more closely relate to the output gap was the most important. The output gap measures the difference between our actual output and our maximum potential output, and the Bank would typically be expected to raise rates on or about the time that this gap closes. Our traditional inflation gauges, core and total CPI, have not tracked as closely to the output gap in recent years as would be expected, and I suspect that this was the main impetus for seeking more accurate gauges. Bluntly put, if CPI-common, CPI-trim and CPI-median provide us with better indications of when the BoC might raise or lower its policy rate, I’m all for it. To that end, since these new measures will be important for mortgage rates going forward, let’s try to understand each in a bit more detail. CPI-trim is defined as “a measure of core inflation that excludes CPI components whose rates of change in a given month are located in the tails of the distribution of price changes”. In other words, if a specific component of the CPI moves dramatically in a given month, that spike is treated as a one-off and the affected item is excluded from the CPI-trim measure. So, if the price of vegetables goes through the roof, CPI-trim will ensure that it doesn’t lead us to misinterpretations about a broader change in underlying inflation. CPI-median is defined as “a measure of core inflation corresponding to the price change located at the 50th percentile (in terms of CPI basket weights) of the distribution of price changes in a given month”. Put more simply, the CPI tracks changes in the price of a wide variety of items, and some move up or down more than others. CPI-median filters out item-specific volatility as CPI-trim does, but in a different way. CPI-median plots the monthly percentage change in the price of each CPI item on a scale, and isolates the price change of the item at the mid-point of that scale as the CPI- median. To put this in a practical context, if the price of a few items spikes dramatically in a month when the price of most items remains relatively stable, overall CPI would move higher while CPI-median will capture the change in the price of the item at the mid-point of its scale, thereby eliminating the distorting impact of the more volatile elements (here is a short video from the Cleveland Fed on the topic that you might also find useful). CPI-common is defined as “a measure of core inflation that tracks common price changes across categories in the CPI basket”. Of the three new gauges, this one is the most complicated to explain. In essence, it tries to isolate the changes in price movements that are related to overall changes in aggregate demand, rather than to sector-specific changes. To put these measures in real terms, over the last twelve months CPI-trim and CPI-median have averaged about 2% while CPI-common has averaged closer to 1.5%. For comparison purposes, total CPI inflation has averaged 1.3% and CPI core inflation has averaged 1.8% over the same period. So as a starting point, the BoC’s new and more trusted gauges of broader inflation indicate that we are very close to the Bank’s 2% target at the current time. Five-year Government of Canada bond yields rose seven basis points last week, closing at 0.72% on Friday. Five-year fixed-rate mortgages are available in the 2.24% to 2.39% range, and five-year fixed-rate pre-approvals are offered at about 2.59%. Five-year variable-rate mortgages are available in the prime minus 0.40% to prime minus 0.50% range, which translates into rates of 2.20% to 2.30% using today’s prime rate of 2.70%. The Bottom Line: The BoC will replace CPI core inflation and CPI total inflation with three new measures that it will use to gauge our overall inflation: CPI-trim, CPI-median and CPI-common. While coverage of this change has been minimal, you’ll be hearing a lot more about these measures in future, so this was a significant announcement if you’re keeping an eye on our mortgage rates. 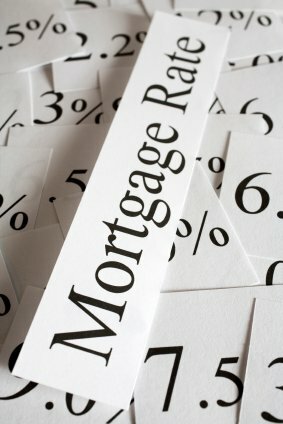 Speaking of which, with these three new measures very near to the Bank’s 2% inflation target, we can assume that both our fixed and variable mortgage rates should remain at or near their current levels for the foreseeable future (notwithstanding non-economic-based rate increases that will be fuelled by the upcoming November 30th mortgage rule changes).